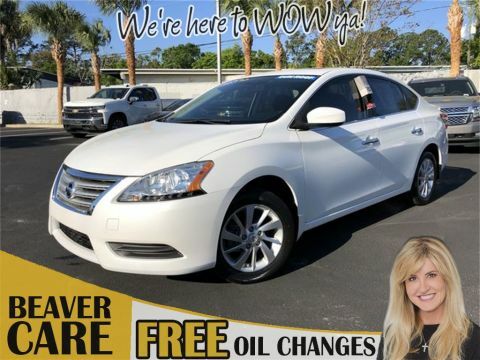 There’s nothing like driving along the coast in famed Daytona Beach, and we’ve got plenty of used Nissans on offer that will look great against the backdrop of the ocean and in the shadow of the Daytona International Speedway. While it feels great to enjoy these iconic vistas in any vehicle, used Nissans are particularly compelling, whether you favor a compact like the Versa, a crossover like the Rogue, or a rough-and-ready pickup like the Frontier. Clean CARFAX. PRISTINE CONDITION, Bluetooth Handsfree, NO ACCIDENTS ON CARFAX REPORT, NONSmoker, Local Trade, MUST SEE!, Fresh Oil Change, Passed Dealership Inspection, Freshly Detailed, MINT CONDITION, EXCELLENT CONDITION, SPORTY,FAST ,READY TO HIT THE ROAD AND BE PART OF A GREAT CUSTOMERS LIFE! !THIS IS HOW WE FEEL AT BEAVER TOYOTA FOR OUR CUSTOMERS ,WE WAN T YOU AND YOUR FAMILY TO FEEL PART OF OUR FAMILY FOR LIFE! !, ABS brakes, Auto-Dimming Inside Mirror w/HomeLink, Bose Premium Audio System w/8 Speakers, Dual Illuminated Visor Vanity Mirrors, Electronic Stability Control, Heated door mirrors, Heated Front Bucket Seats, Heated front seats, Illuminated entry, Leather-Appointed Seat Trim, Low tire pressure warning, Power Sliding Glass Moonroof w/Tilt Feature, Remote keyless entry, SR Premium Package, Traction control. Priced below KBB Fair Purchase Price! 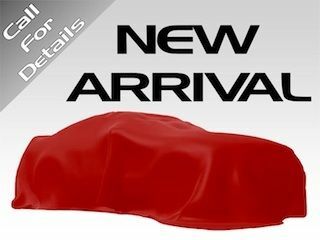 Red 2015 Nissan Sentra SR FWD 1.8L 4-Cylinder DOHC 16V Red 2015 Beaver Nissan Sentra SR is a 4D Sedan FWD . This Florida Sedan has a 1.8L 4-Cylinder DOHC 16V engine. Call right now and schedule a test drive. 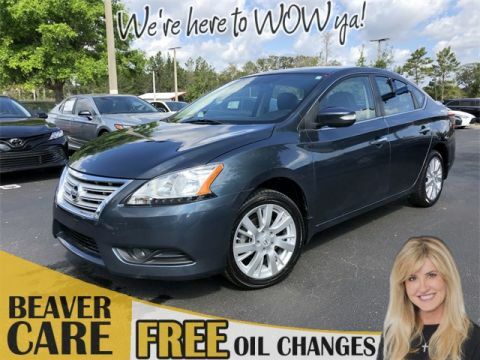 Ask for stock number 241746, the Florida 2015 Beaver Nissan Sentra . Shop Us Online at www.beavertoyotastaugustine.com. Serving Jacksonville, Palm Coast, Daytona, Gainesville and St Augustine. Beaver Toyota St Augustine on 2995 US Hwy 1 South in St Augustine. PRISTINE CONDITION, Leather, Bluetooth Handsfree, NO ACCIDENTS ON CARFAX REPORT, One Owner, NONSmoker, Local Trade, MUST SEE!, Fresh Oil Change, Passed Dealership Inspection, Freshly Detailed, EXCELLENT CONDITION, SL PACKAGE ,THE USED CAR WORLD IS HERE AT BEAVER TOYOTA ,WE HAVE A SEAT FOR EVERY CUSTOMER ,OUR USED CARS ARE RANKED AS THE BEST MBEST SERVICED AND THE SAFEST ONCE IN THE MARKET !WHY! !BECAUSE WE WANT TO MAKE SURE EVERY CUSTOMER THAT ENETERS OUR DEALERSHIP ,LEAVES COMPLETLY SATISFIED AND JOINS OUT ROYALS SERVICE EXPERIENCE FOR LIFE! !, Bose Premium Audio System w/8 Speakers, Dual Illuminated Visor Vanity Mirrors, Power Sliding Glass Moonroof w/Tilt Feature, SL Premium Package. Priced below KBB Fair Purchase Price! Metallic Blue 2015 Nissan Sentra SL FWD 1.8L 4-Cylinder DOHC 16V Metallic Blue 2015 Beaver Nissan Sentra SL is a 4D Sedan FWD . This Florida Sedan has a 1.8L 4-Cylinder DOHC 16V engine. Call right now and schedule a test drive. Ask for stock number Y520593A, the Florida 2015 Beaver Nissan Sentra . Shop Us Online at www.beavertoyotastaugustine.com. Serving Jacksonville, Palm Coast, Daytona, Gainesville and St Augustine. Beaver Toyota St Augustine on 2995 US Hwy 1 South in St Augustine. CARFAX One-Owner. Clean CARFAX. PRISTINE CONDITION, Bluetooth Handsfree, NO ACCIDENTS ON CARFAX REPORT, One Owner, NONSmoker, Local Trade, MUST SEE!, Fresh Oil Change, Passed Dealership Inspection, Freshly Detailed, MINT CONDITION, EXCELLENT CONDITION. 26/33 City/Highway MPG Priced below KBB Fair Purchase Price! 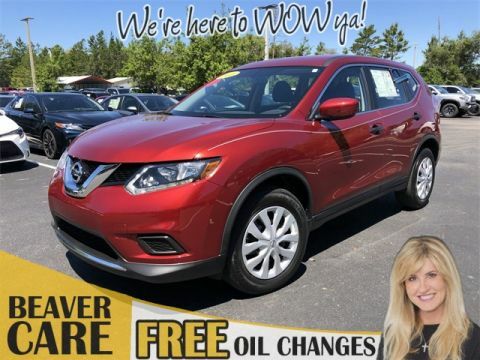 Red 2016 Nissan Rogue S FWD 2.5L I4 DOHC 16V Awards: * 2016 KBB.com 10 Best SUVs Under $25,000 Red 2016 Beaver Nissan Rogue S is a 4D Sport Utility FWD . This Florida SUV has a 2.5L I4 DOHC 16V engine. Call right now and schedule a test drive. 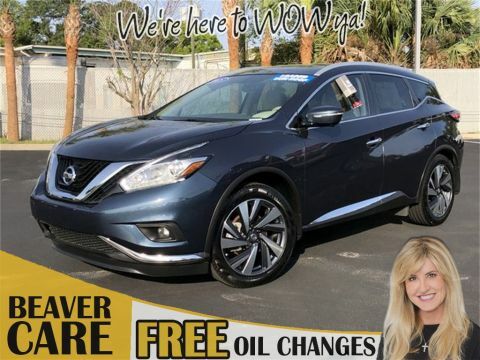 Ask for stock number 3072074B, the Florida 2016 Beaver Nissan Rogue . Shop Us Online at www.beavertoyotastaugustine.com. Serving Jacksonville, Palm Coast, Daytona, Gainesville and St Augustine. Beaver Toyota St Augustine on 2995 US Hwy 1 South in St Augustine. CARFAX One-Owner. PRISTINE CONDITION, Bluetooth Handsfree, Rear View Camera, One Owner, NONSmoker, Local Trade, MUST SEE!, Fresh Oil Change, Passed Dealership Inspection, Freshly Detailed, MINT CONDITION, EXCELLENT CONDITION, SV PACKAGE AWD ,READY TO GO ON THE BEACH ,AND WE HAVE THE NICEST BEACH IN BEAUTIFULL ST AUGUSTINE! !COME ENJOY THE BEST USED CAR BUYING EXPERIENCE IN THE WORLD! !WHY BUY ANYWHERE ELSE ,YOU AND YOUR FAMILY HAVE THE BEST TO ENJOY AT BEAVER TOYOTA!! !, 3rd Row Seating, ABS brakes, Electronic Stability Control, Illuminated entry, Low tire pressure warning, Remote keyless entry, Run Flat Tires, SV Family Package, Traction control. 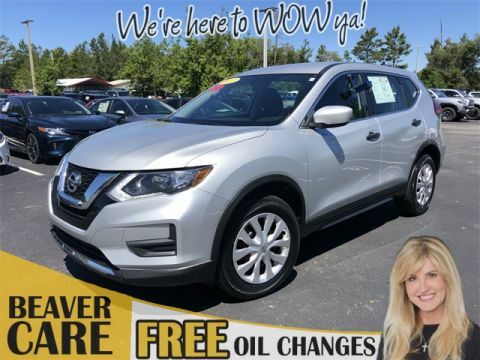 25/32 City/Highway MPG Brilliant Silver 2017 Nissan Rogue SV AWD AWD 2.5L I4 DOHC 16V Awards: * 2017 KBB.com 10 Best SUVs Under $25,000 Brilliant Silver 2017 Beaver Nissan Rogue SV AWD is a 4D Sport Utility AWD . This Florida SUV has a 2.5L I4 DOHC 16V engine. Call right now and schedule a test drive. Ask for stock number 534405, the Florida 2017 Beaver Nissan Rogue . Shop Us Online at www.beavertoyotastaugustine.com. Serving Jacksonville, Palm Coast, Daytona, Gainesville and St Augustine. Beaver Toyota St Augustine on 2995 US Hwy 1 South in St Augustine. CARFAX One-Owner. Clean CARFAX. PRISTINE CONDITION, NO ACCIDENTS ON CARFAX REPORT, One Owner, NONSmoker, Local Trade, MUST SEE!, Fresh Oil Change, Passed Dealership Inspection, Freshly Detailed, EXCELLENT CONDITION, AFFORDABLE IMPORT USED TRUCK ,FOR ALL YOUR HOUSE NEEDS ,ABSOLUTELY IN GREAT SHAPE ,FULLY SERVICED AT BEAVER TOYOTA ,TO MAKE OUR USED CARS THE BEST SERVICED USED CARS IN THE MARKET! !WE MAKE SURE THAT EVERY CAR WE PUT ON THE ROAD IS THE SAFEST ONE AVAILABLE! !, ABS brakes, Electronic Stability Control, Low tire pressure warning, Traction control. 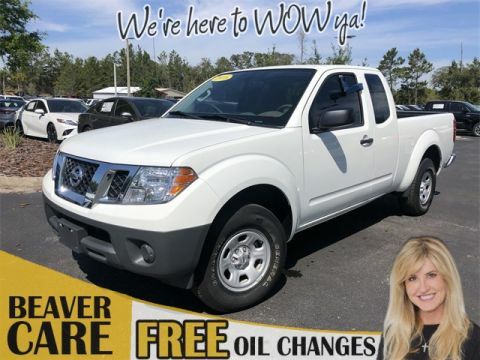 Glacier White 2016 Nissan Frontier S RWD 2.5L I4 DOHC Glacier White 2016 Beaver Nissan Frontier S is a King Cab RWD . This Florida Truck has a 2.5L I4 DOHC engine. Call right now and schedule a test drive. 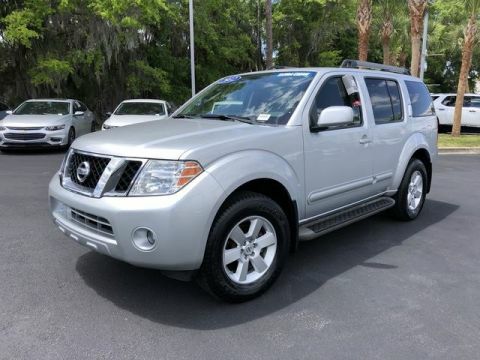 Ask for stock number 783048, the Florida 2016 Beaver Nissan Frontier . Shop Us Online at www.beavertoyotastaugustine.com. Serving Jacksonville, Palm Coast, Daytona, Gainesville and St Augustine. Beaver Toyota St Augustine on 2995 US Hwy 1 South in St Augustine. CARFAX One-Owner. Clean CARFAX. AWD ,AWD ,AWD ,ITS BEACH TIME ,LETS GO ,WE HAVE IT HERE AT BEAVER TOYOTA ,THE BEST USED CARS IN THE MARKET ,AND WE PROVE IT EVERY MONTH BY SELLING THE MOST USED CARS IN THE MARKET! !WHY BEACUSE WE CARE LIKE NOBODY ELSE ,WE MAKE SURE THIS USED CARS ARE THE BEST SERVICED AND THE SAFEST VEHICLES IN THE MARKET ,COME JOIN THE BEAVER FAMILY AND BE A PART OF THE BEST CARS IN THE MARKET!!. 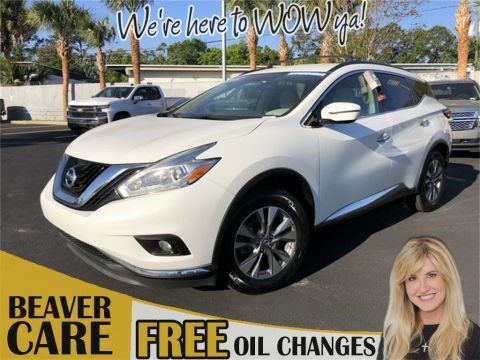 25/32 City/Highway MPG Gun Metallic 2017 Nissan Rogue SV AWD 2.5L I4 DOHC 16V Awards: * 2017 KBB.com 10 Best SUVs Under $25,000 Gun Metallic 2017 Beaver Nissan Rogue SV is a 4D Sport Utility AWD . This Florida SUV has a 2.5L I4 DOHC 16V engine. Call right now and schedule a test drive. 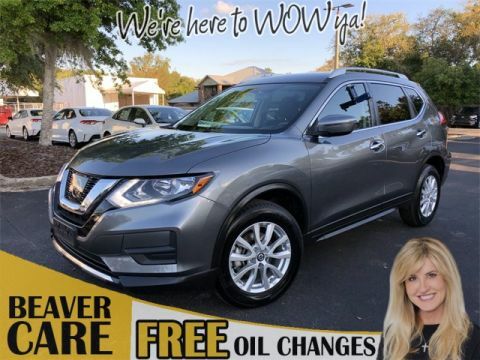 Ask for stock number 583436, the Florida 2017 Beaver Nissan Rogue . Shop Us Online at www.beavertoyotastaugustine.com. Serving Jacksonville, Palm Coast, Daytona, Gainesville and St Augustine. Beaver Toyota St Augustine on 2995 US Hwy 1 South in St Augustine. ABS brakes, Electronic Stability Control, Front dual zone A/C, Illuminated entry, Low tire pressure warning, Remote keyless entry, Traction control. 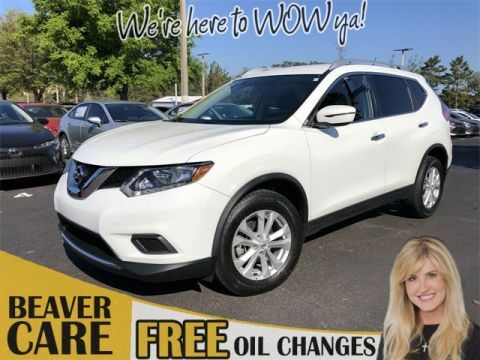 26/33 City/Highway MPG Glacier White 2016 Nissan Rogue SV FWD 2.5L I4 DOHC 16V Awards: * 2016 KBB.com 10 Best SUVs Under $25,000 Glacier White 2016 Beaver Nissan Rogue SV is a 4D Sport Utility FWD . This Florida SUV has a 2.5L I4 DOHC 16V engine. Call right now and schedule a test drive. 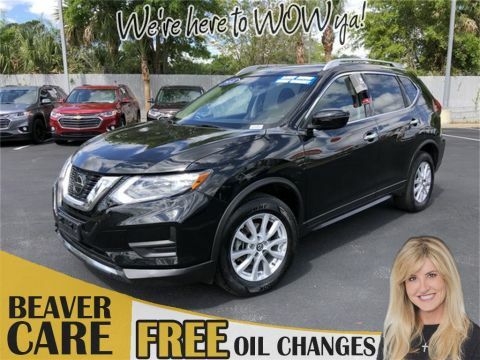 Ask for stock number 1023769A, the Florida 2016 Beaver Nissan Rogue . Shop Us Online at www.beavertoyotastaugustine.com. Serving Jacksonville, Palm Coast, Daytona, Gainesville and St Augustine. Beaver Toyota St Augustine on 2995 US Hwy 1 South in St Augustine. CARFAX One-Owner. Clean CARFAX. PRISTINE CONDITION, GPS / NAVI / NAVIGATION, SUNROOF / MOONROOF / ROOF, Leather, Bluetooth Handsfree, NO ACCIDENTS ON CARFAX REPORT, TOYOTA CERTIFIED*7 YEAR/100K MILE WARRANTY*$0 DEDUCTIBLE*BUY WITH PEACE OF MIND, Rear View Camera, 3rd Row / THIRD ROW / 7 Seat Option, LEATHER, One Owner, NONSmoker, Local Trade, MUST SEE!, New Tires, Fresh Oil Change, Passed Dealership Inspection, Freshly Detailed, MINT CONDITION, EXCELLENT CONDITION, ABSO;UTE;Y NEW ,ANOTHER HANDPICKED USED CAR FROM BEAVER TOYOTA ,THE ONLY PLACE TO BUY A USED CAR ,WE CARE ABOUT OUR CUSTOMERS AND WE WANT YOU AND YOUR FAMILY TO JOIN OUR FAMILY FOR LIFE! !WE HAVE THE BEST USED CARS IN THE MARKET ,NOBODY SEELS USED CARS LIKE WE DO. 20/27 City/Highway MPG Priced below KBB Fair Purchase Price! 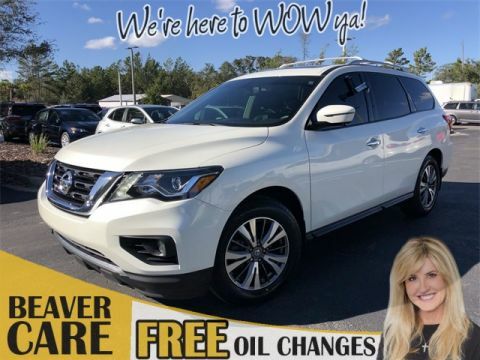 Pearl White 2017 Nissan Pathfinder SL FWD V6 Awards: * 2017 KBB.com 12 Best Family Cars Pearl White 2017 Beaver Nissan Pathfinder SL is a 4D Sport Utility FWD . This Florida SUV has a V6 engine. Call right now and schedule a test drive. Ask for stock number 5201704A, the Florida 2017 Beaver Nissan Pathfinder . Shop Us Online at www.beavertoyotastaugustine.com. Serving Jacksonville, Palm Coast, Daytona, Gainesville and St Augustine. Beaver Toyota St Augustine on 2995 US Hwy 1 South in St Augustine. 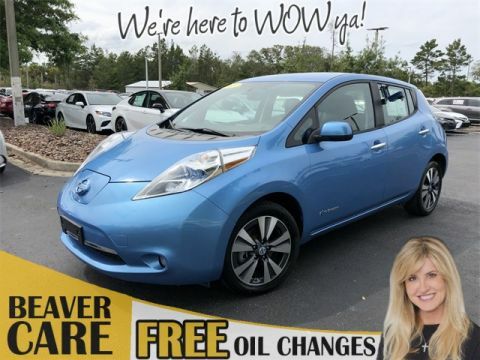 Why Buy Used Nissans From a Toyota Dealer? The reasons to check out used Nissans at our dealership are the same reasons you’d look to buy any vehicle from Beaver Toyota. We’re committed to being fast, fair, and transparent; what’s more, we offer a 5-Day Used Car Exchange Policy — if you don’t like the car you’ve picked, just bring it back and swap it for one that suits you better! This is just part of what we call the Beaver Wows. These principles hold whether you buy a Toyota, a pre-owned Nissan, or a vehicle from a different automaker. We believe that Toyota vehicles should be everyone’s first choice, but we also understand that not everyone agrees. The fact of the matter is that our first commitment is to our customers — that’s why we offer a wide variety of cars, trucks, and SUVs from leading manufacturer to suit a broad range of needs. If you’re drawn to used Nissans but you’re unsure which model might be right for you, check out some Nissan reviews at Edmunds. Of course, all of us at Beaver Toyota will be happy to help you decide when you’re ready to take a test-drive!